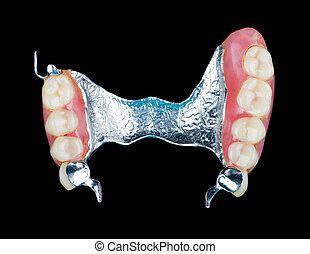 Human mouth with dental prosthetics in it. 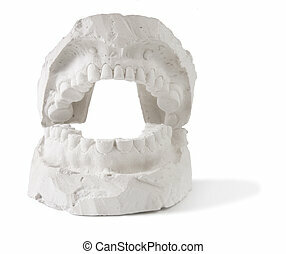 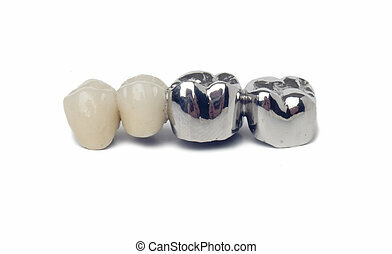 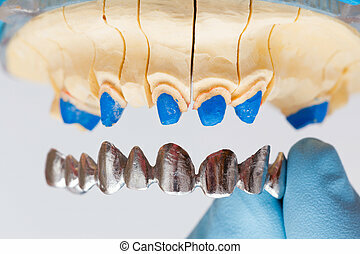 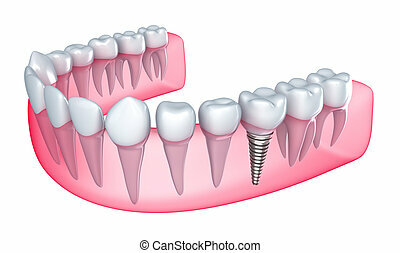 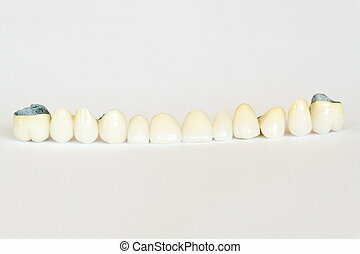 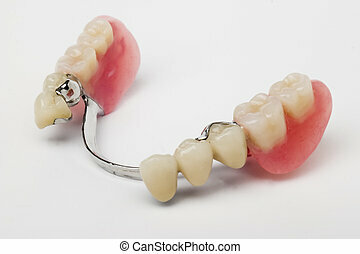 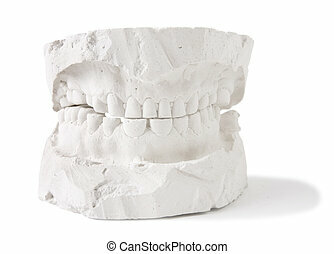 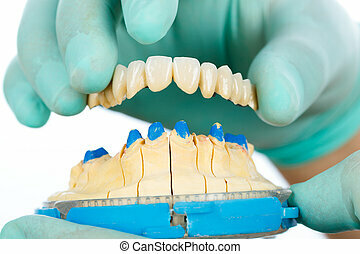 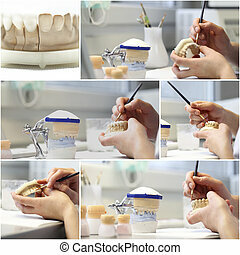 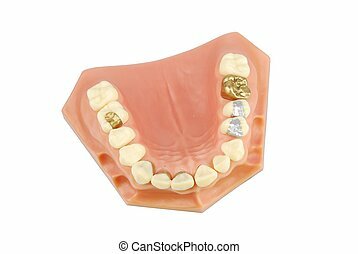 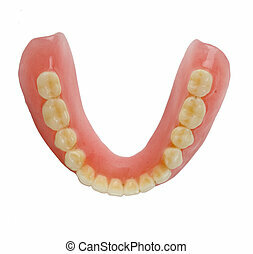 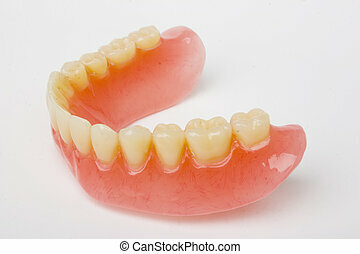 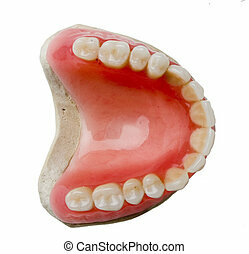 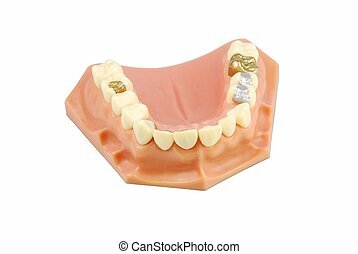 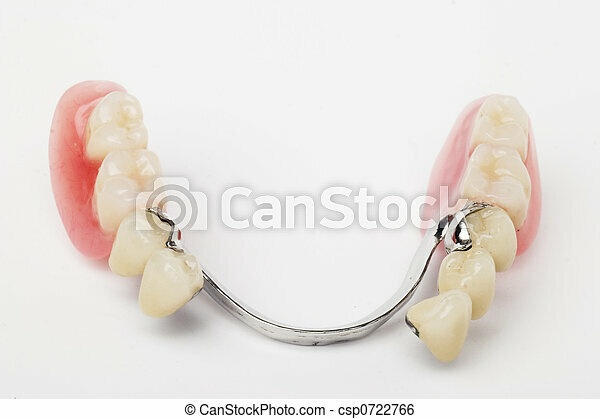 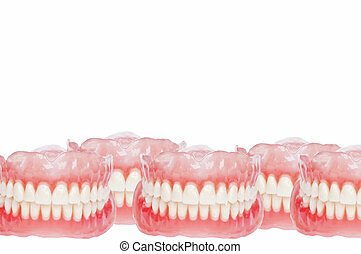 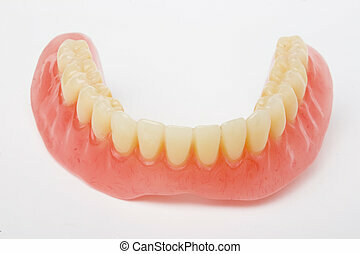 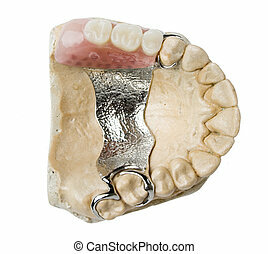 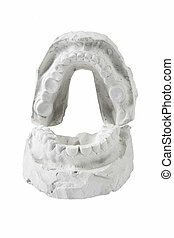 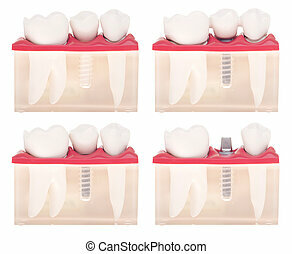 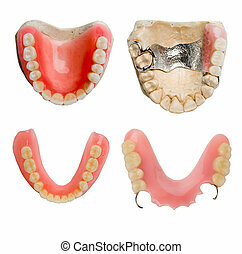 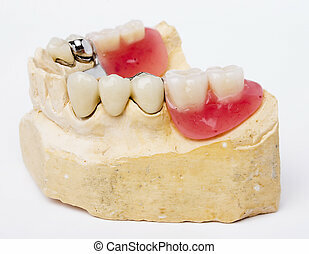 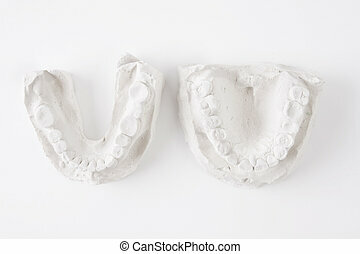 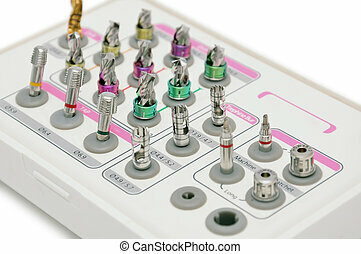 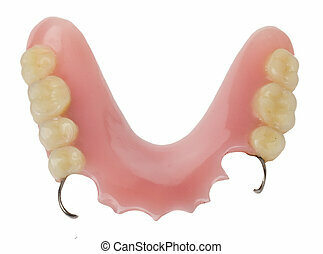 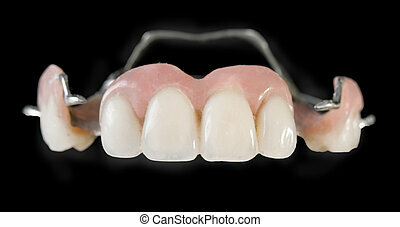 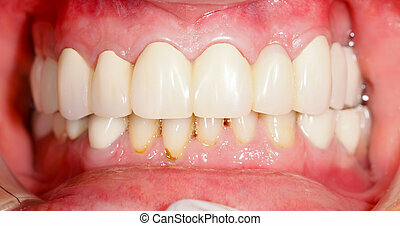 Dental metal basis denture put on dental model. 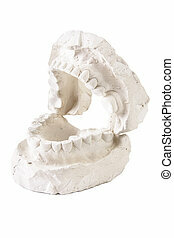 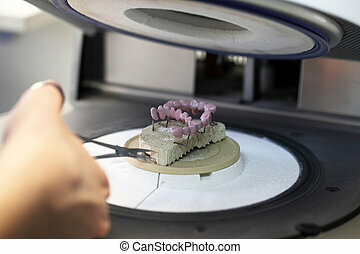 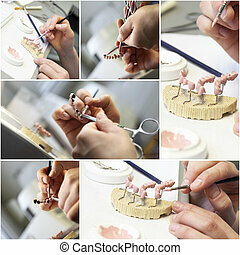 Dentist showing beautiful porcelain teeth on gypsum casting with metallic basis and abutment.